Vada's Blog Stamp Inks and Paper : No Challenge Cards today. Just three little cards that I’ve been working on, one is Paper Piecing, one is Copic Coloring and the last a Valentine. Hope you will enjoy them. Paper Piecing card is a new stamp from Inkadinkado. 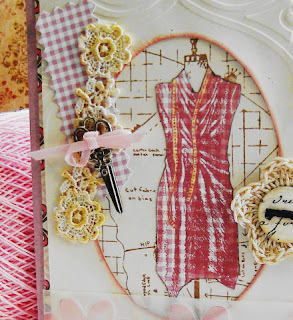 Using the Pink Gingham Check paper in the top corner of the card, I stamp and embossed the dress form and cut it out. The hearts are dry embossed on vellum. The crochet flower has a paper button and the lace was died with distress ink. 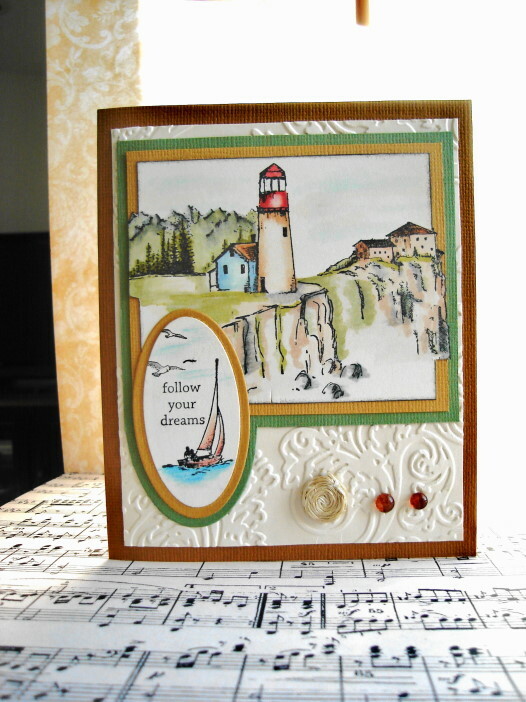 Copic Coloring (out of the box card) contains a mix of Arts Impressions and Cornish Heritage Farms stamps. 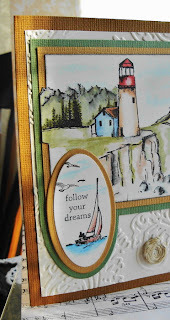 I used a Cuttlebug embossing folder for the background. 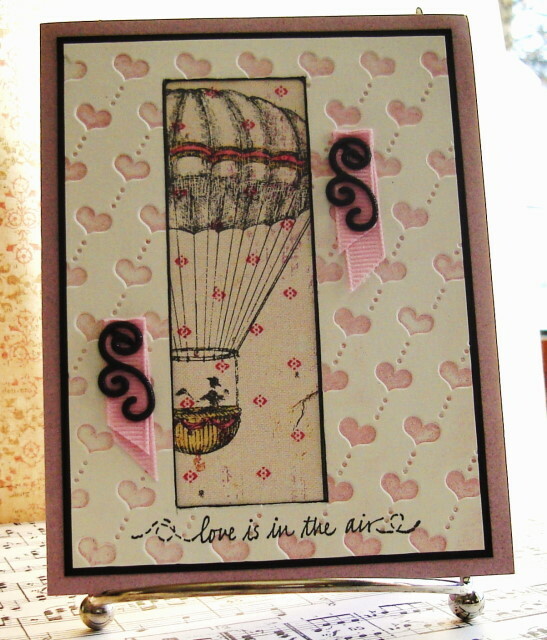 My Valentine Card is a new stamp and Embossing folder. 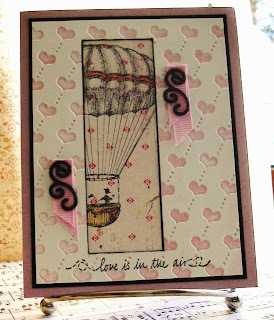 Stamp is from Hero Arts and Love is in the air is from Savory Stamps. hope you are enjoying the week-end and staying warm. Three wonderful works, Love the hot air balloon. 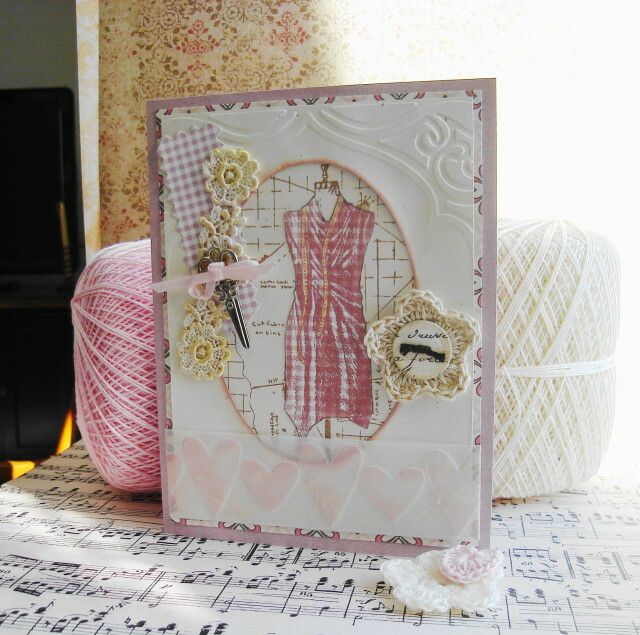 Three lovely cards Vada. I really like the lighthouse card. Love all these just because cards! 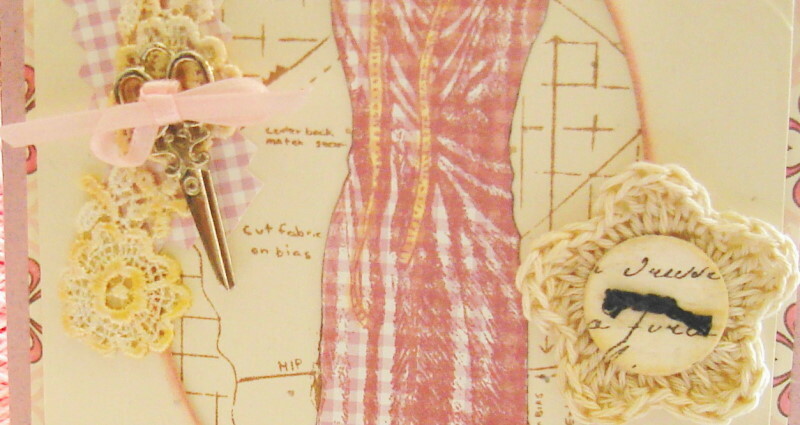 The lace touch with the dress abd tape measure is awesome! Great little scissors! Sometimes we forget that it is not always about challenges, however, there is a challenge you can link the hearts to. The link is on my last post! Happy Weekend! Oh wow, these are beautiful! I love them all, but the lighthouse is totally awesome! These are lovely, Vada! 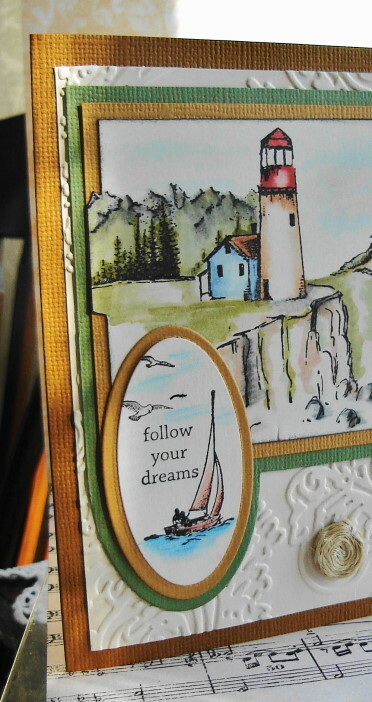 That balloon stamp is wonderful, and I really love the way you showed only a portion of it. Happy stamping! 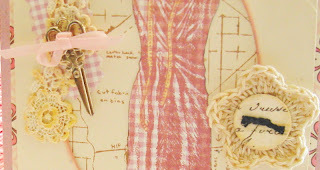 All three are wonderful Vada, but the first one stole my heart with the gingham and lace, So adorable!